We are a leading group working to build resilience here and everywhere. Our region is one of the world’s most remote and greatest living laboratories, a stronghold that’s critical to a thriving planet. Our location, at the endpoint of a 1,000-year conveyor belt of water from Antarctica, gives us a unique vantage point to understand the globe’s changing climate. Our strategy is to provide practical, relevant information about this critical global bioregion to managers and decision-makers so that true resilience can be practiced here and modeled and implemented everywhere – for the benefit of people, culture, economies and the environment. The world has entered a new era of rapid climate change, ocean acidification and unprecedented demand for both renewable and nonrenewable resources, requiring the public to engage responsibly and thoughtfully in those issues. Management of resources depends on the cooperation and collaboration of people with diverse expertise who have access to information appropriate to address the issues at hand – information that we provide. Integration of the PWSSC’s research and knowledge into community decision-making models is critical for us to achieve our mission and vision. We believe this integration can best be accomplished through practical demonstration projects that model solutions to socio-economic and ecological resiliency. Additional integration approaches include technical support, scenario building, and analysis of the impact of policy alternatives and practices. 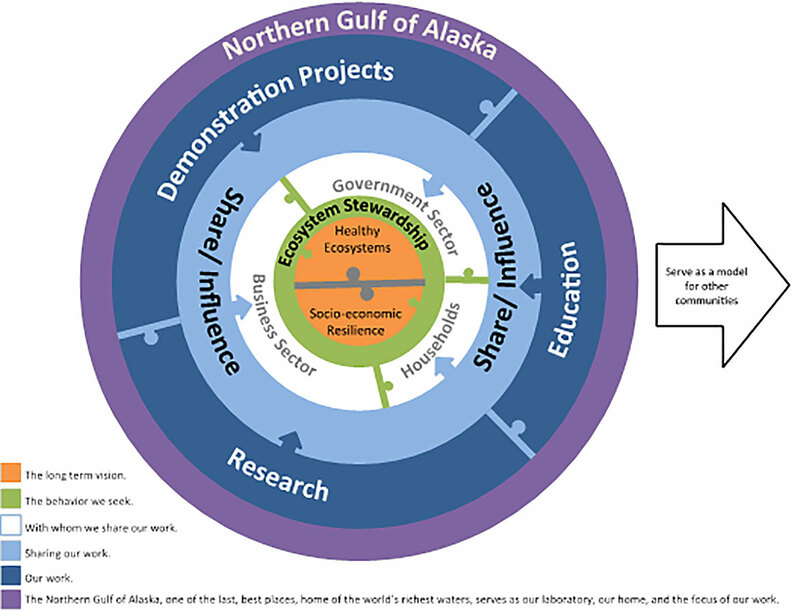 In addition to our leading education programs and community engagement efforts, we use an entrepreneurial approach to integrate best practices for sustaining resources so that we can be a model for other communities around the world who have similar ecosystems, or who face similar resiliency challenges. With education programs focused on both students and adults, we share knowledge and inform the public about the critical interdependence of resilient natural systems and society. Our work enriches STEM (science, technology, engineering and math) educational opportunities in the region and enables students of all ages (from pre-K to gray) and educators to use the region as a natural laboratory. We seek to train more educators and students through field-based experiences, building a new facility for residential learning, and embracing technology for distance-learning opportunities.